Made from the finest 100% wool for long life. 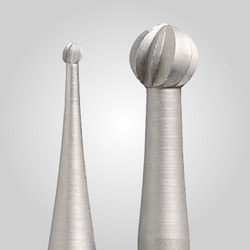 Available mandrel-mounted or unmounted. 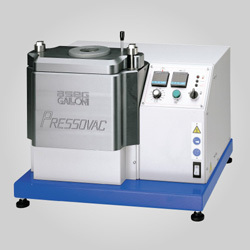 May be used with various polishing compounds or rouges to produce a clean, high finish on molds, dies and models. Hard, medium and soft grades available in most shapes. All measurements shown in images are in inches. 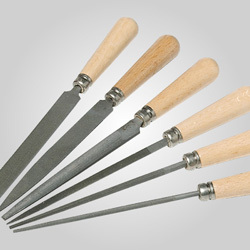 All Felt Bobs on this page have 3mm shanks. 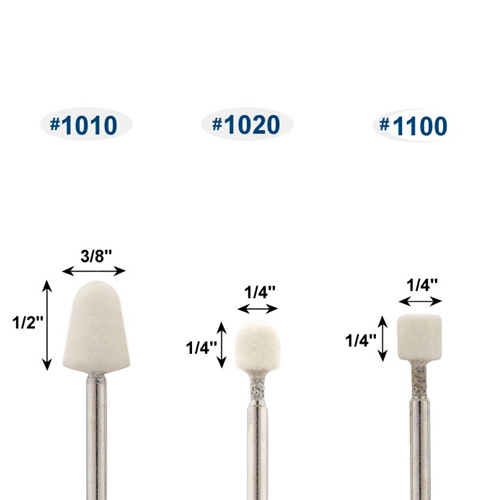 3/32" and 1/8" shank Felt Bobs are also available. Made in USA. Twelve-piece minimum order; please order in multiples of 12.